Guntersville, pfizer Alabama is situated in a valley surrounded by the Appalachian foothills. 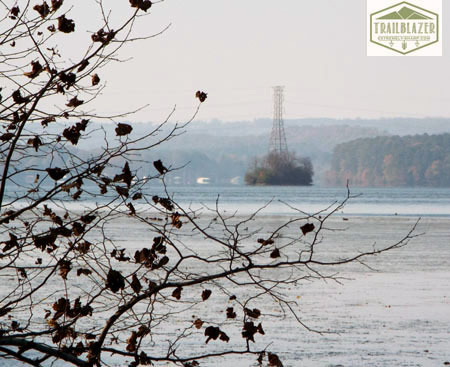 Guntersville is a beautiful small town almost completely surround by Lake Guntersville. Today I found myself walking along the lake on what we call The Walking Trail. We have Over 8 miles of walking trails following the lake shore. As I was walking I spotted an electrical tower on a small island in Browns Creek. Browns Creek is an off shoot that feeds into the lake. 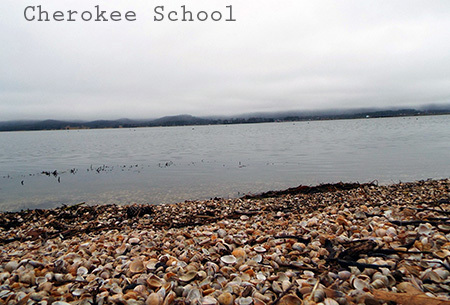 This small Island is all that is left of The 1830’s Cherokee Indian school. Originally the area was inhabited by the Tallegwis, information pills an off shoot of the Mississippi Valley Mound Builders. The Tallegwis left several mounds and when the Mississippi culture disappeared they disappeared it with it. So called civilization found it’s way here to Guntersville for the first time when Hernando Desota passed through here in the 1500’s searching for gold. There is a marker at one corner of the courthouse commemorating this event. Desota found Creeks, click Cherokees and Chickasaws. During the Creek War of 1813/14, Andrew Jackson and the Cherokees defeated the Creeks. 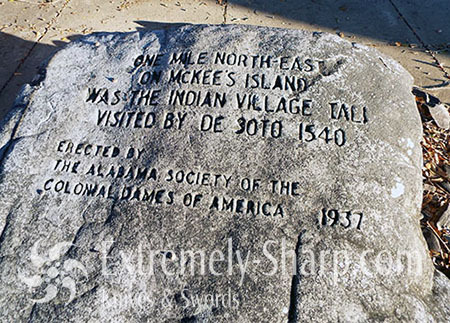 The Creeks left for Florida and the Cherokees were allowed to stay on the lands east of the Tennessee river. By 1818 this area started to flourish with help from an established local ferry. Most of the Cherokees lived in Browns Valley and a school was established. In 1836 the Cherokees were relocated by Andrew Jackson to Oklahoma on a journey that is known as The Trail of Tears. The Cherokees in the area were removed by barge and sent down the river. The River Cherokees were subjected to many horrors but fared better than the Cherokees that were forced to walk the whole trip to Oklahoma. The great depression came to Alabama in the early 30’s. FDR started his new deal and formed the Tennessee River Authority. TVA built a dam, Boosted our economy, and gave the valley cheaper, cleaner electricity. What was left of the Cherokee School was flooded by the lake which left a small island out in the middle of Brown’s Creek just large enough for an electrical tower.